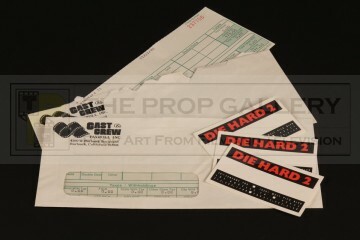 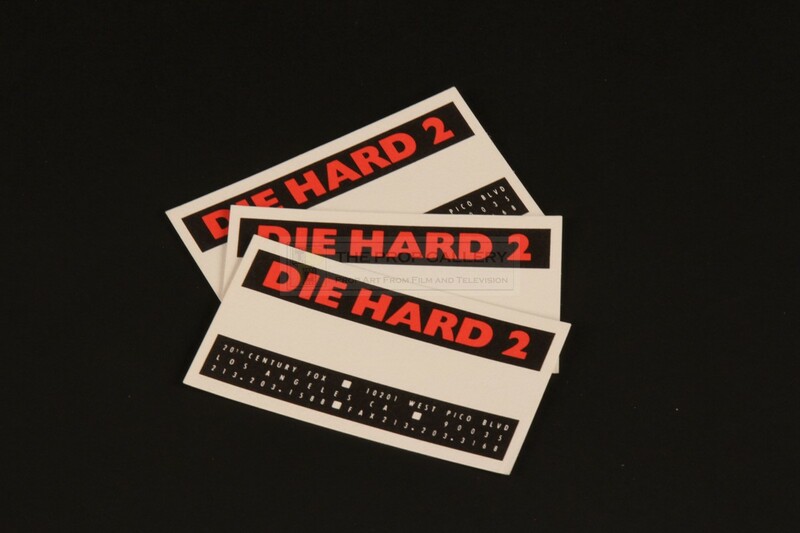 An collection of original material from the production of Die Hard 2, the second instalment in the popular action franchise starring Bruce Willis as New York cop John McClane. This lot comprises of three production business cards featuring the movie logo and contact details for 20th Century Fox and two production payslips dated March 1990, these presented in their original envelopes bearing the Cast & Crew Payroll Inc logo, one slip featuring hand applied note regarding a pay deduction. 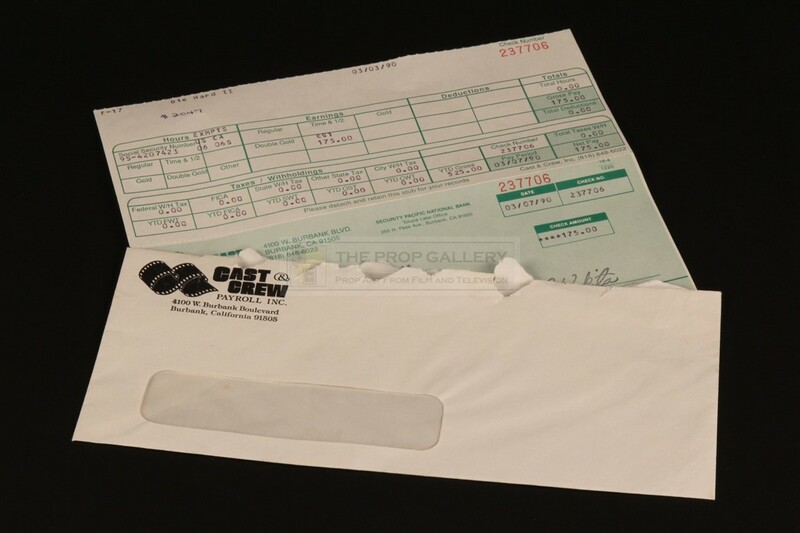 The business cards measure 3.5" x 2" and the envelopes 9.5" x 4", each remain in excellent condition, very fine.